Cross posted at Bookreviews at Bookrack. This was once again a book, that came recommended by several in the blog world. 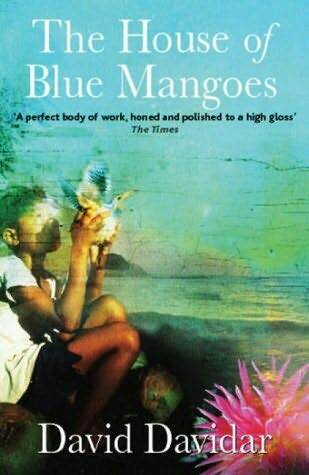 I wanted to read The House of Blue Mangoes first, but got hold of this one first. Vijay is a young man, in a small town K— in Tamilnadu, and is desperate to escape from the small town living. His father encourages him to write about the rise of religious fundamentalism in India, after their family servant Raju ran away to help build a temple. He wrote an article, which was partially made up and edited with his father’s help. It got rejected from most newspapers and magazines, but managed to catch the interest of Rustom Sorabjee, who was the proprietor and founder of The Indian Secularist. Rustom Sorabjee is passionate about the Indian method of Secularism, where we learn to live by and tolerate those of other faiths and he is also very concerned about the rise of religious fundamentalism which threatens India’s seclarism. He is impressed by Vijay and is given a job in his newspaper in Bombay. Vijay grabs at it, only too happy to escape from his small town life. He is having a happy, normal existence in Bombay, when in his fervour to report on the riots in Bombay, he witnesses some gruesome scenes, almost loses his life and is badly affected by it. Rustom Sorabjee, in an effort to help him recover from his ordeal, sends him to a tea plantation in Nilgiris, where he also wants him to cover a story on a Christian Shrine which has some Hindu-Christian dispute related to it. Vijay meets an enigmatic character Noah, who is very different from anybody he has met before. His ideas, his philosophy, confuses Vijay, and yet, he seems to trust Noah, on some plane. Vijay is very keen on preventing any sort of religious clash, that might impact the shrine. He manages to gather enough information that leads him to believe that there is some sort of attack planned on the shrine. His warnings go unnoticed, or dismissed by most of the prominent personalities in the village. Getting personally and emotionally involved, he sets into motion some things, which could not be reversed. It was an interesting read, although I felt the that the book lost momentum in some places. Noah’s characterization was done very well. The author does a beautiful job in showing how circumstances and conditions motivate different people, in different ways. It was a very thought provoking read and I would give it a 3 on 5.